Reducing customer churn by promptly handling their network-related issues with NetVelocity’s Customer Care Solution! Improve Customer Interaction & Increase Satisfaction through NetVelocity’s Customer Care solution! Providing personalized service and relevant solutions to the network problems with NetVelocity’s Customer Care! 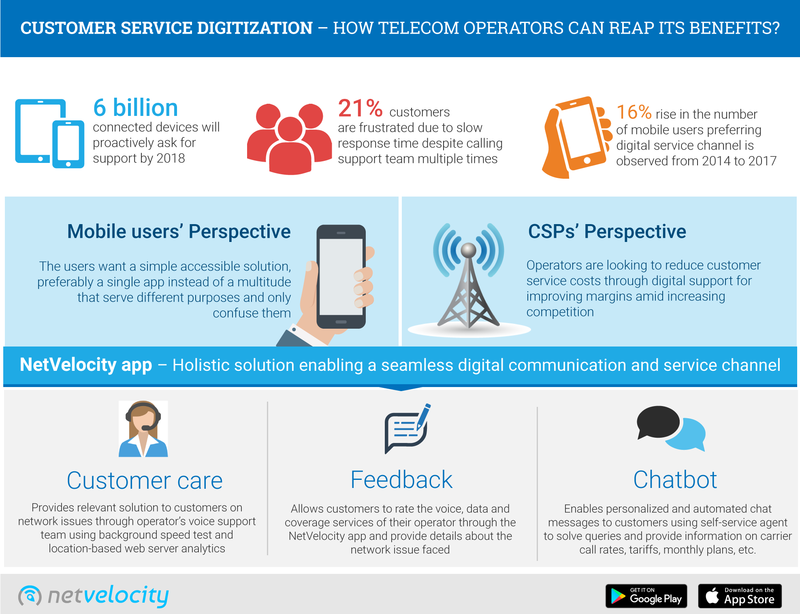 CUSTOMER SERVICE DIGITIZATION – HOW TELECOM OPERATORS CAN REAP ITS BENEFITS?